Unboxing: Marvel Legends Carnage (Monster Venom BAF) – AiPT! The brand new Venom wave is hitting stores now. This is quite a cool figure updating the toy for the latest line with some impressive details. The blade hand is very cool with detailed tendrils curving around it. This thing looks liquid in a lot of ways which captures the Symbiote very well. The alternate head is quite creepy too. This might be the crown jewel of the entire wave. Like what you see? You can purchase it right now on Amazon. 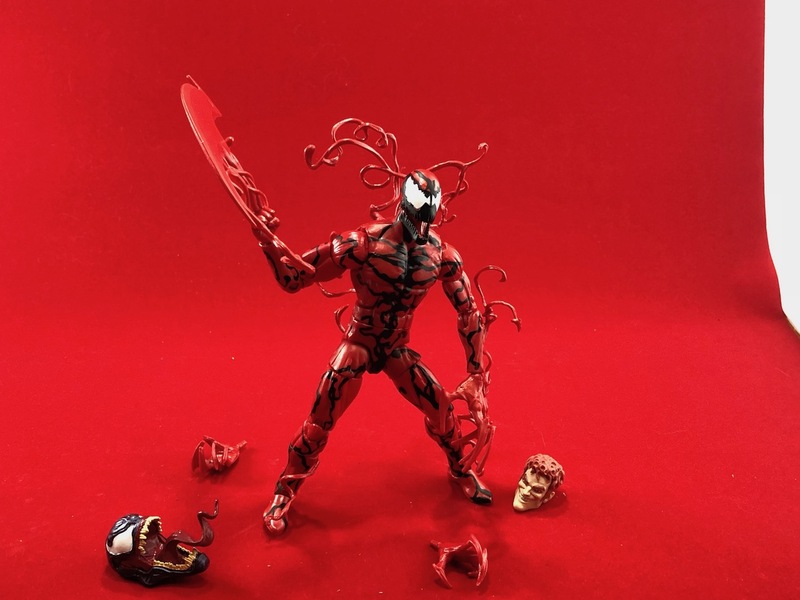 This is one of the coolest Carnage figures ever made. Great detailed tendrils and an alternate head make this a must buy for Marvel Legends fans.